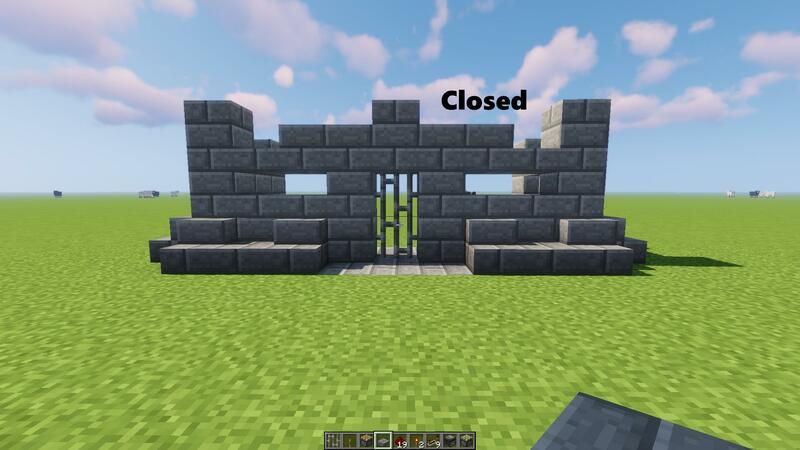 I've been looking all over youtube, I know how to make a 2 by 1 vertical door at this point, but for this build I'd like to have 2 iron bars be the door but when it opens for the bottom block of the door be replaced to a stone block. I'm gonna attach some images that will better explain what i'm trying to do. Browse other questions tagged minecraft minecraft-redstone or ask your own question. How do I reverse the activation of Pistons with redstone automatically? 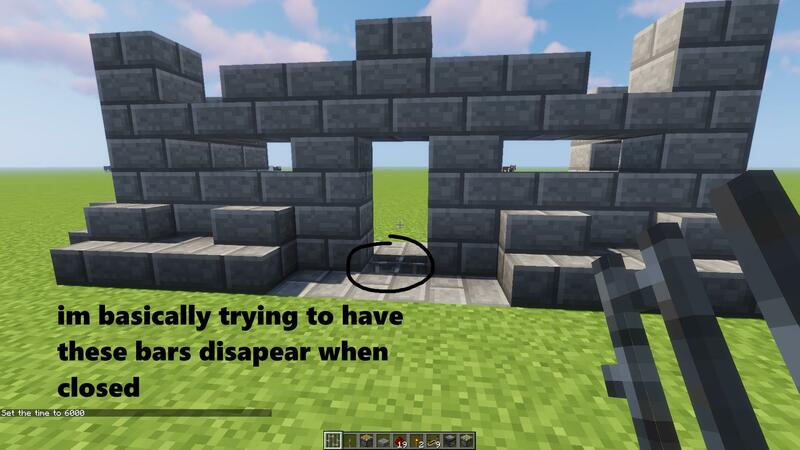 Why is my piston powered cobblestone generator crashing minecraft? How can I get this setup to work properly? How do I move redstone signals vertically (for a vertical sticky-piston door)? 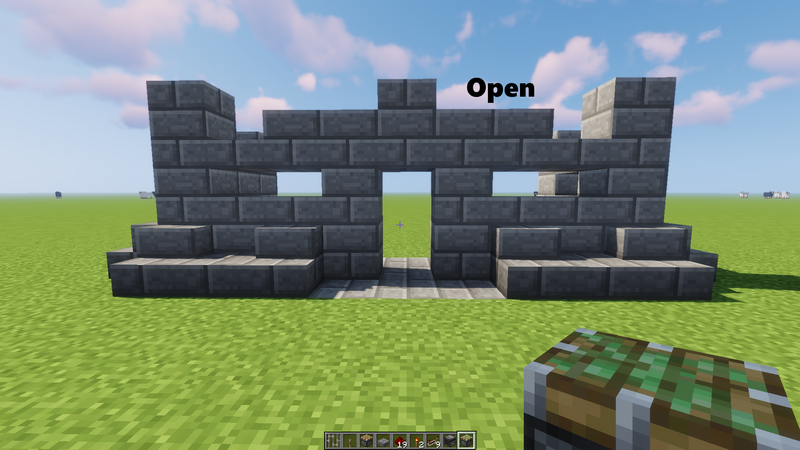 How do you put an enchanted item or an enchanted potion in an item frame with a command block? Why does a sticky piston powered by a redstone block through another sticky piston from the top not contract?